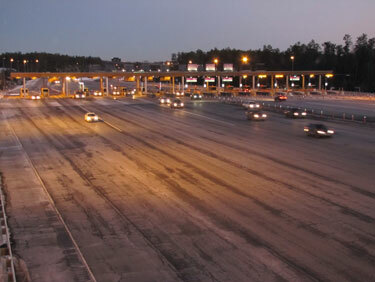 WASHINGTON — Round-trip toll rates that can top $60 a week for regular commuters on the Dulles Greenway have just been ruled “reasonable” by Virginia’s State Corporation Commission. The member of the House of Delegates, who has led the two-year charge against the rates, said Wednesday that he expects to appeal that decision to the Supreme Court of Virginia. Del. David Ramadan, R-Loudoun, told WTOP that while he and the Loudoun County Board of Supervisors are still reviewing this week’s decision, he believes the next step will be the state’s highest court. The final order concluding the lengthy investigation also suggests that the eastern end of the Greenway — closest to Dulles Airport — is near maximum capacity at peak periods. “I am incredibly, incredibly disappointed with the State Corporation Commission, not surprised, but disappointed,” Ramadan said. He said the report merely parrots Greenway arguments. The commission also found that existing tolls provide no more than a reasonable return on investment for the Greenway’s private ownership. Evidence submitted as part of the investigation indicates the partners have not yet received a return on their investment. The commission refused to order the Greenway ownership to do a detailed study of the impact of a potential future switch to distance-based tolls on the road. The company is directed to talk to the Virginia Department of Transportation about potential future studies within the next six months. The company, Toll Road Investors Partnership II, argues that distance-based tolls would not work on the Greenway, and that if they were implemented, the change would require much higher tolls on the western end of the road. Under current law, existing flat-rate Greenway tolls are permitted to rise slightly each year through 2020 under a formula tied to inflation. The State Corporation Commission can review any requests for rate increases beyond that. Ramadan argues the underlying price is illegally high to begin with. He expects to announce specifics of how he will continue the case in the coming weeks. Ramadan promises to stick with it even if the case stretches past the end of his term in January. He is not running for reelection. The case was drawn out in part by Ramadan’s request for delays based on his service in the General Assembly.